2017 is going to be all about new beginnings! We have a temporary new home just up the road while we revamp the studio. Renovations will take place between the 27th of December 2016 to the 15th of January 2017. 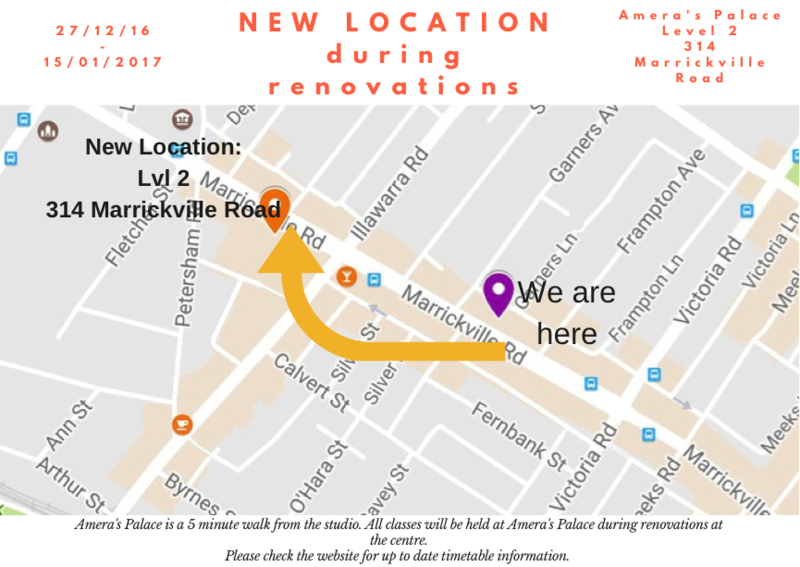 Classes will continue at Amera’s Palace Bellydance Boutique at Level 2, 314 Marrickville Road. It’s just up the road opposite the yellow Liquorland building. Check out more info on our upcoming timetable here, or download a pdf here.